It’s a dilemma many of us share: the holiday we secretly want – a fortnight driving round the back streets of towns and cities, getting ensconced in dusty shops, crate digging – or the one we find ourselves on: a two-week package trip to Florida, spent (it seems to me, anyway) in endless queues for nausea-inducing rides at the Magic Kingdom with the extended family. And I’m not alone. 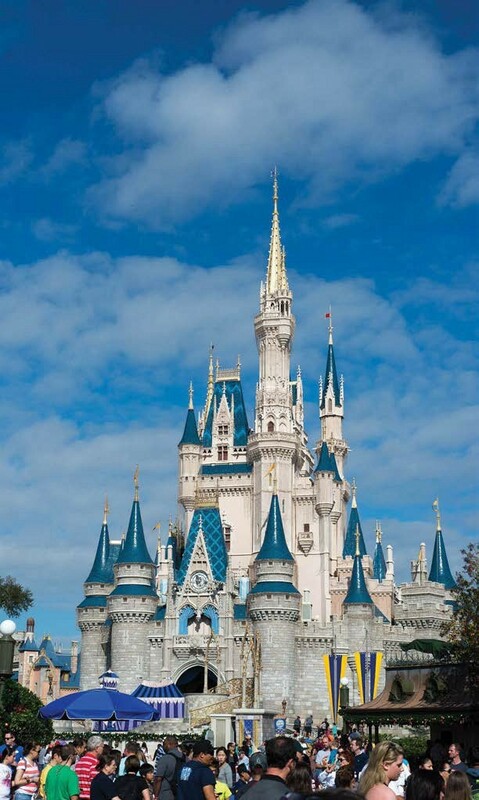 Orlando is one of the most popular summer holiday destinations for Brits, with 1.7 million of us visiting the wider State of Florida in 2015. I wonder how many of them experience a day as exciting as mine – a staggering nine record stores, all within a few miles of each other and, hands-down, better vinyl hunting than you’ll find in seemingly more obvious US choices, such as Manhattan. 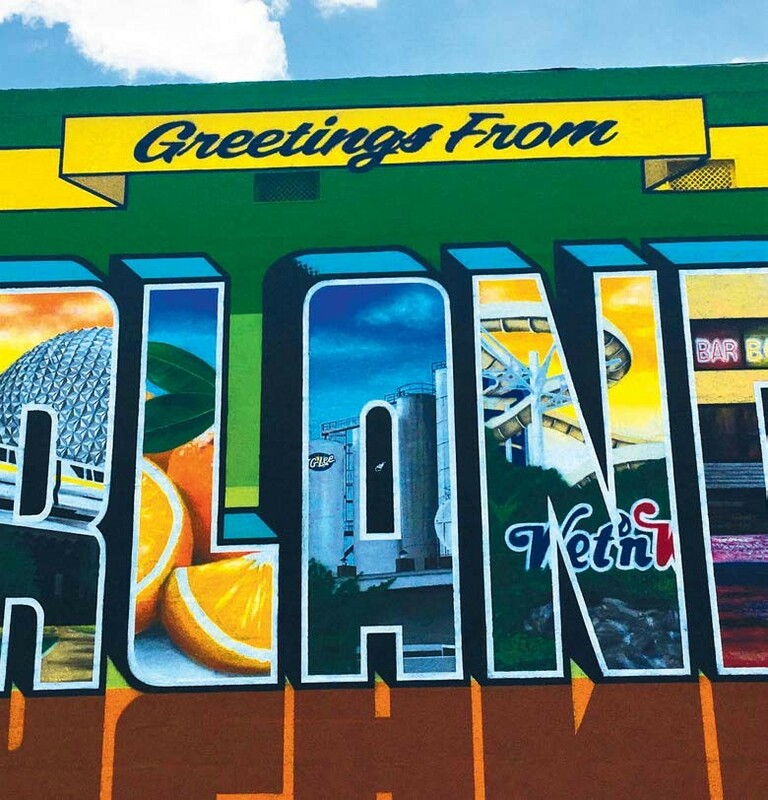 Orlando is a record collector’s dream and, although you’ll need a car to get around and a generous baggage allowance for the flight home, this city turns up some elusive finds. Orlando may be nicknamed ‘The City Beautiful’, but I’d soon tagged it ‘The City Bountiful’. With 2.3 million-plus residents in the wider metropolitan area, it seems they’d all been buying an awful lot of records back in the day. The amount of second-hand vinyl here is stunning and, although the pound is lower than it used to be against the dollar, prices are still keen. On my trip, I find that LPs are about 10-15 per cent cheaper than back home, while 7” singles are $2 to $3 and 12”s around $5 to $7. The traffic is heavy in the city, but parking is easy everywhere. In truth, it was a rush to cover all nine stores in a single day, but with discipline and a heavy heart for the stacks of stock I wasn’t able to attack, I just about managed it! A couple of stores would’ve taken me hours to investigate thoroughly, so pace yourself – there’s a lot to get through. The theme parks had kept me busy for a few days – there’s even some Disneyrelated vinyl for sale at them (the widely available picturedisc soundtracks and some nice LP reissues of The Lady And The Tramp and Alice In Wonderland storybooks). I’d dived into a couple of Barnes & Nobles, too – there are a handful across the city – and found good vinyl sections in two of the three I visited, with a number of store exclusives. On sale 50 years to the day after The Beatles released their timeless masterpiece Sgt. 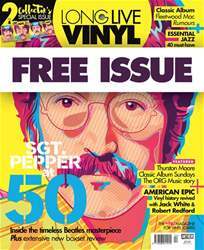 Pepper’s Lonely Hearts Club Band, issue 4 of Long Live Vinyl tells the full story of one of the greatest albums ever made, as well as taking an in-depth look at the new Anniversary edition masterminded by Giles Martin. Elsewhere, we round up the essential 40 jazz records, take a crate-digging trip to Orlando, get the lowdown on the new American Epic TV series with Jack White, T Bone Burnett, Elton John and Robert Redford, and Fleetwood Mac’s Rumours goes under the microscope in our Classic Album feature. We also meet Sonic Youth noisenik and record collector extraordinaire Thurston Moore, profile Classic Album Sundays and bring you the most comprehensive range of vinyl-related reviews anywhere! The Vinyl Festival is coming!